Magnetic is an artificial intelligence company that uses machine learning to deliver smarter, faster, and more effective advertising. Its powerful AI platform continuously analyzes the attributes of over 350 million live user profiles alongside real-time inventory supply and bid opportunities to deliver highly performant audiences and profitable campaigns for its clients. Magnetic sought to migrate 90% of workloads to Spot Instances within a year, but auto-scaling and moving manually to Spot was a time consuming processes and some stateful workloads would prove to be even more complex. In addition, Magnetic’s Spot Instance implementation accounted for most – but not all – environments. The more complex systems, like Magnetic’s Hadoop clusters, were more difficult to put on Spot. As a result, Magnetic could not achieve maximum cost efficiency. Providing Stateful application support: this allowed even Stateful applications to run on Spot Instances, as Spotinst Elastigroup has the ability to maintain private IP addresses and reattach data volumes across instances. This drastic reduction in implementation time meant Magnetic could start saving money quicker. The company’s existing Spot Instance strategy proved very profitable, enabling them to achieve over $1 million in savings over the past 12 months. With Spotinst’s help, Magnetic expects to save an additional $1 million per year. 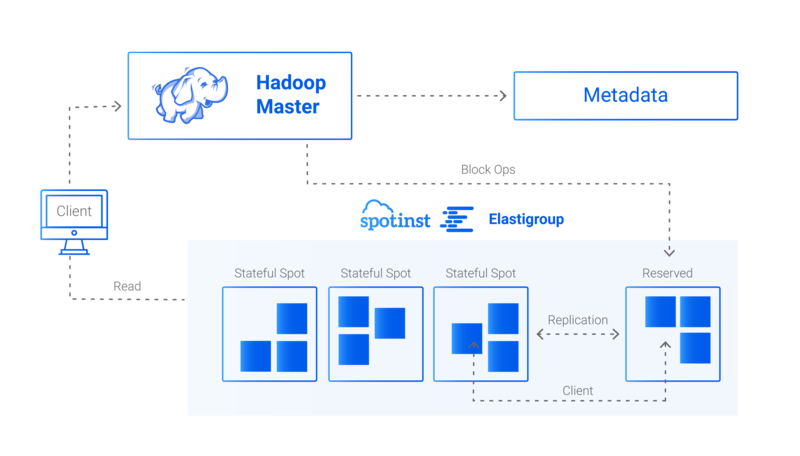 With Spotinst Elastigroup, instead of managing several groups of different instance types and sizes to achieve reliable replication on Hadoop, Elastigroup can run one group that mixes On-Demand, Reserved and stateful Spot Instances. All simultaneously optimized for cost and performance. Customer support and experience is important to Magnetic. “There’s a problem in the industry. Many technical vendors fail to listen to customers and have a proper discussion with them,” said James. This is not true with Spotinst. Over the course of Magnetic’s PoC with Spotinst, the Magnetic team submitted 15 feature requests so they could get the most out of the Spotinst platform. All feature requests were completed within 10 days, allowing Magnetic to increase savings while strengthening their confidence in the Spotinst team. “We’ve worked with a handful of vendors who have actually listened and truly responded to customer needs. Spotinst is definitely one of those vendors,” said James.